AS WE LIGHT THE THIRD CANDLE, we consider how fostering Jewish, Zionist and Hebrew education and Jewish spiritual and cultural values help to preserve our Jewish identity. Antiochus sought to eradicate Jewish peoplehood by preventing the observance of religious practices, and we continue to fight against such bigotry.  Zionism is an important force in the strengthening of Jewish identity and values. Our commitment to Hebrew language and literature, and Israeli culture and society enriches our lives. Hannah Senesh (1921-1944) was a poet and playright who wrote in both Hungarian and Hebrew. At the age of 18, she took the initiave to immigrate from Hungary to what was then Palestine. Her dedication to serving the Jewish people motivated her to join the Haganah, the beginnings of the Israeli defense force. 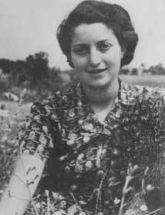 After enlisting in the British Army and becoming a paratrooper, she parachuted into Yugoslavia in March 1944 on a daring mission: to save the Jews of Hungary from deportation to the Nazi concentration camp Auschwitz. She was caught at the border with Hungary, but even under torture, she refused to betray her fellow parachuters. She was executed by firing squad on November 7, 1944. This touching and inspirational song was the last Hannah Senesh ever wrote. She had already been daringly parachuted into a partisan camp in Yugoslavia when she composed it. Musical score, Hebrew, and English available here. What does the concept of a burning match mean to you? What is the message? How does this message relate to an understanding of Israel and the spirit of the Jewish people? What emotions do you feel when reading this poem? How can you relate to it on a personal level? 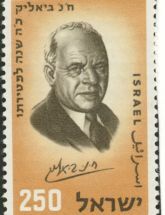 Chaim Bialik (1873-1934) is known as Israel’s national poet. Born in the Ukraine, Bialik was active in Zionist and literary circles in Odessa, writing in Hebrew long before it was the modern language of Israel. He wrote nationalistic poems about the Jewish people, love poems, and nature poems. He moved to Tel Aviv in 1924, where he was celebrated as a famous literary figure. Read this poem by Chaim Nachman Bialik and discuss the questions that follow. nor by deed of a father’s will. I hewed my light from granite. not large, but wholly my own. to vanish in kindled flame. pay the price of the blaze. What does the concept of light signify in this poem? What meaning does it have here in comparison with the Chanukah story? How does this poem relate to an understanding of Israel?